Zephyr (sail): Where's the color in sailing today? Very nice, but unrealistic. I like to think that sailing is the last resistance to the rampant political correctness so pervasive in our land society. If black people want to get into sailing, they will. And they have,occasionally, I was the boat honky for a black doctor way back in the day. Sailing is also difficult to learn compared to many other sports that compete for young people's time so they tend to go towards basketball and soccer. I do agree that culture is why we don't see more black faces on sailboats, but it's the culture that glorifies steroid ridden ball players etc, not a culture of exclusiveness. I can't point to any of my friends and say they wouldn't do their best to welcome anyone who was passionate about our sport, black or white. I'll bet you can say the same. This is a very interesting issue, one which i've puzzled over alot. Here in the BVI, i find it astonishing how few local West Indians are actively involved in sailing. The vast majority of charter captains, instructors, deck crew, etc., here are caucasian. Firstly, it seems to me that many locals want to disassociate themselves from what they perceive as a "rich white man's" activity. Secondly, whereas for many mainstream sailors this "sport" is a welcome mental and physical challenge -a relief, if you will, from professional, urban, or otherwise landlocked drudgery- the local youth are seeking a fast and easy thrill. i sail with a group of local kids, but their attention gets lost everytime a flashy speedboat goes by. i'll agree that cruising culture is very open and inclusive, but can't agree that all sailing culture is. 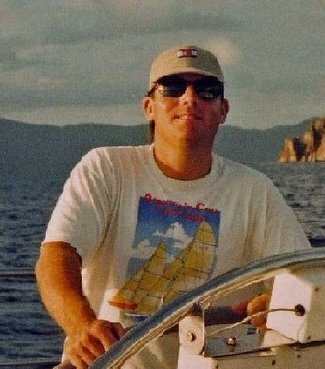 i know quite a few honest, non-discriminating, liberal, salty folks on the water... whose earliest exposure to sailing was through the "junior memberships" their wealthy white upper-middle-class parents got them at their local wealthy white upper-middle-class yacht club. We all know that the wind and water have no bias, and that once you're out there, not much else matters. It's the avenues by which most folks approach the water that are exclusive, not the sailing itself. Wait a sec, holdfast. "Wealthy... parents" ? My dad was a high school teacher at a time when they got paid a lot less than now. He joined a nice club and got me in the jr program and I took to sailing. There are lots of nice clubs or community sailing programs that don't cost even an arm to join RBVIYC used to be and maybe still is one. I don't think that is the problem; even in the BVI, native parents there are exposed to sailing (look at the Moorings charter base) and certainly have the option of getting their kids into it but they don't. I think you hit the nail on the head when you say the kids' heads are turned by the loud, flashy powerboats. My kids', too. It's a cultural thing and will change when it's due. You can't force it and you certainly can't force integration.